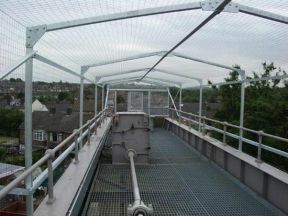 With the high health and hygiene standards and requirements of the hospital, a bespoke bird deterrent programme was put together by our specialist surveyor with recommendations for proofing to eliminate the problems as they developed. 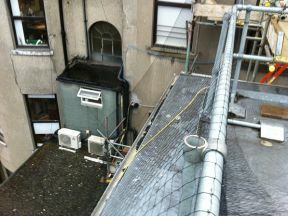 Pigeons were fouling the compound and nesting in the cooler fan blades. 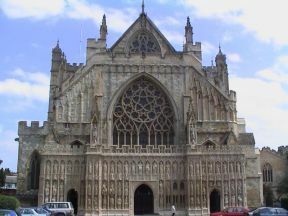 There was the potential for fan failure or high speed ejection of fouling, sticks or other material, which could injure the station's workers and cause great damage to the equipment. 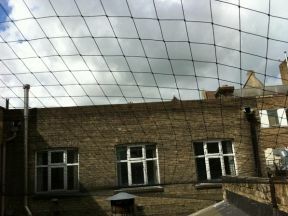 Following a recommendation from the local authority, the landlord's agent approached us to provide a solution to the feral pigeon problem in the rear yard: the infestation level was substantial with nesting birds present in the rear yard. 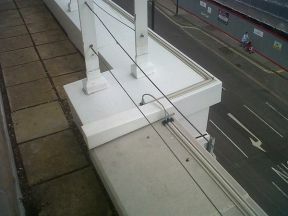 Earlier in 2011, Eco Environmental embarked on a new seagull deterrent project in Birmingham. 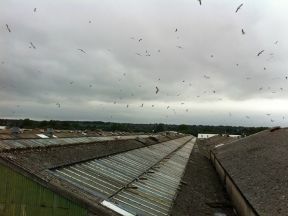 We were asked to remove bird eggs and nests from a heavily populated site as the material deposited by seagulls was causing serious issues for our client. 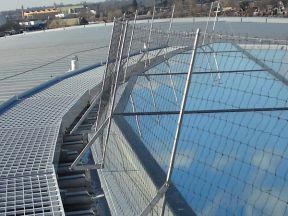 The architects Wilkinson Ere contacted Eco Environmental looking for a solution to prevent feral pigeons from entering the top floor through the automatically opening roof vent of the new West London Audi building they had designed. 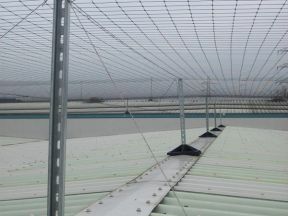 We were contacted by our client to resolve an issue with feral pigeons perching on the water regulator in South Yorkshire, which was causing a fouling hazard to engineers working on the structure. 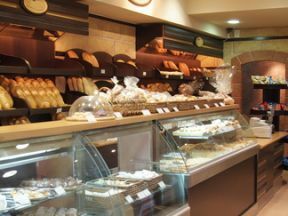 Building Cleaning of Bakeries for Elyo Services. 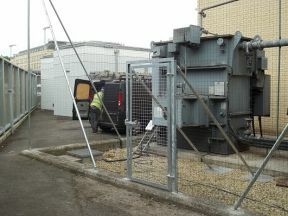 With a tight program of work and discretion a matter of priority, Eco Environmental completed the work out of hours and at night to ensure the project was completed sensitively and on time.